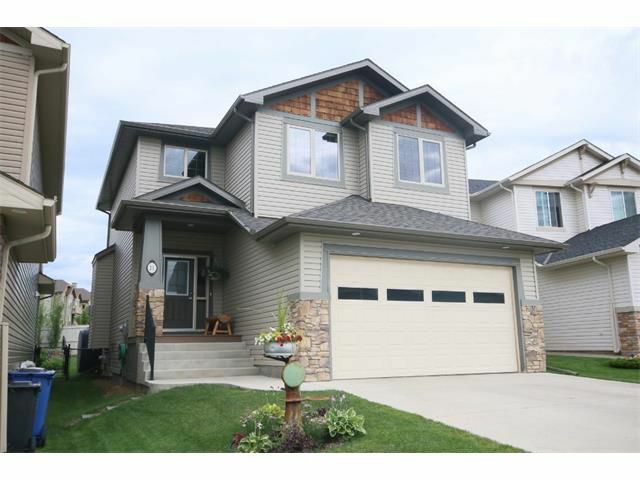 Immaculate, beautifully upgraded Janssen home on quiet circle - welcome to 23 Sunset Circle in Sunset Ridge, Cochrane, AB. You will love the rich hardwood floors, alder cabinets and granite counters...the open floor plan with 9' ceilings lends to the spaciousness of this home. Lots of 'eye candy' here - crown moldings, upgraded trim, wrought iron stair railings and new high end SS appliances all add to the ambience of luxury. Great floorplan with 3 bedrooms up + bonus rm, 4 pce bath and spa-like ensuite. Fully finished basement is designed to maximize storage and provide a casual atmosphere with 2nd fireplace, wet bar/refreshment centre, family rm & games rm (pool table included!). All bathrooms feature poured granite counters & tile floors. Outdoors, the large deck is a great place to get in some relaxation, and the fully landscaped and fenced yard is perfect for kids/pets. Treat yourself to an upper level experience, and book your viewing of this time home today.